Casino Tropez Mobile is the mobile casino offering from casinotropez.com. One thing that instantly stands our about Casino Tropez mobile is the wide range of special promotions they offer. You can make a first deposit of £20 and they will top it up to £100 and theres 5 other promotions that will keep giving you extra money to play with for weeks. 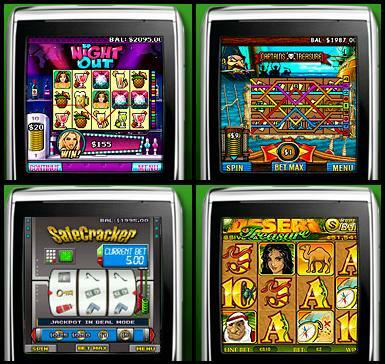 The Casino Tropez mobile casino has a collection of 11 casino games including 7 exciting slots, video poker, blackjack, roulette and baccarat. All of the games are themed and have great graphics. Blackjack, Roulette, Goblins Cave, Video Poker, Tropic Reels, Baccarat, A Night Out, Captain’s Treasure, Gold Rally, Safe Cracker and Desert Treasure. Credit / Debit Card, Click2Pay, NETeller and Ukash. You get an extra bonus for using multiple payment methods. Neteller, Click2Pay, or on to a credit/debit card. Special Promotions: Lots of promotions like: 200% sign up bonus, $100 match bonus every Sunday, 20% bonus for all mobile deposits. Not much to fault, those promotions are too good to turn down!